Shay Remby and her band of renegade activists have got the corrupt Singular Corporation on the run. Their exposé is finally working. Or is it? Even as revelations about the human experimental subjects break in the news, Singular’s employees are slithering out of sight. And then the CEO is killed in a plane crash . . . Convenient accident—or sabotage? Shay’s gang begins to see signs that there may be even more powerful figures managing events—mopping up the mess, and moving the operation further out of sight. 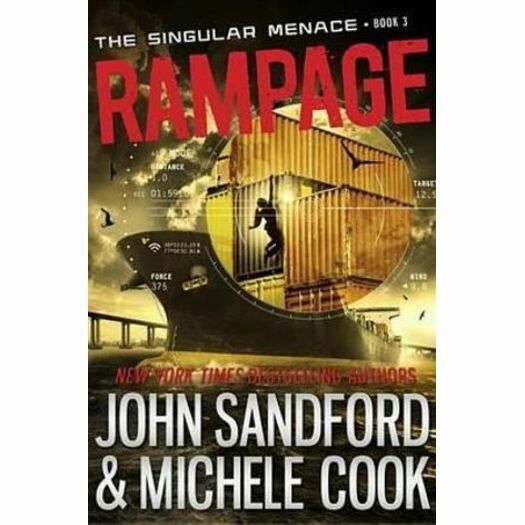 It will take nothing short of a rampage to stop the Singular menace for good. . . .